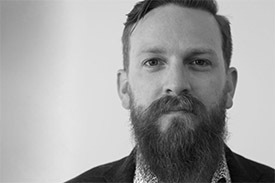 Rob’s transcendence from visual communications to audience engagement strategy was inspired by the connection he drew between smart design and compelling customer experiences. 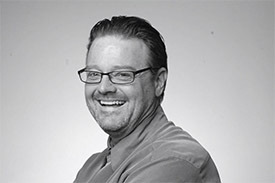 After ten years honing his marketing skills working with numerous brands in Toronto, Rob eventually went west where he helped clients like Sport Chek, Niagara Falls Tourism, Marks and Michaels formulate their brand engagement strategies before returning to Ontario in 2010. In 2011, Rob set out to unlock the genetic code of the world’s most coveted, cult brands. He emerged enlightened, helped found audience engagement firm, Cult Collective, a global summit of top brand leaders (The Gathering), and co-wrote a book to help enlighten others. 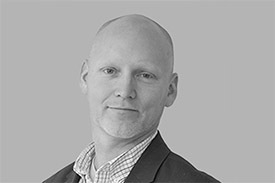 Today, as one of Cult’s senior Audience Engagement Engineers, Rob helps steer brand strategies for organizations big and small, from Fortune 500 companies to grassroots non-profit groups across North America. 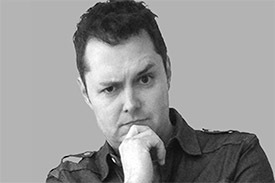 Over his 20-year marketing career, Rob has worked with super-brands like Nike, LCBO, Molson, Zappos, Harley-Davidson, The Home Depot, and 2XU. His expertise is helping organizations engage customers in more meaningful, more profitable ways that traditional marketing can’t – ways that foster deep brand attachment, incite advocacy, and deliver measurable return-on-engagement. Rob’s thought leadership has been used in university curriculum, and he is the co-author of the Amazon 5-star rated book Fix: Break the Addictions That Are Killing Brands.